"I love that I can be cooking while people are sitting on the couch, and it's all very communal." Note from Kirsten: Keith has been a good family friend for well over 15 years now. He helped remodel my parent's kitchen when I was in junior high, and did design work for the mother-in-law suite they were building over their garage. (He and his wife even lived there for a time when their house downtown sold quickly and their next home wasn't yet ready to move into.) He's a ton of fun, a brilliant designer, and I always love an excuse to work with him. I learned so much from Keith, and I'm excited for you to learn, too. You can learn more about Keith by visiting Miller Interior Design. Take it away, Keith! Today, I’m chatting with Kirsten about what’s working well in her small space, and offering ideas on how she can maximize these areas even further. When I come into a home, I try not to invade too much. Kirsten has great taste, and is already so skilled when it comes to organizing and coming up with creative DIY solutions to make the most of her spaces. 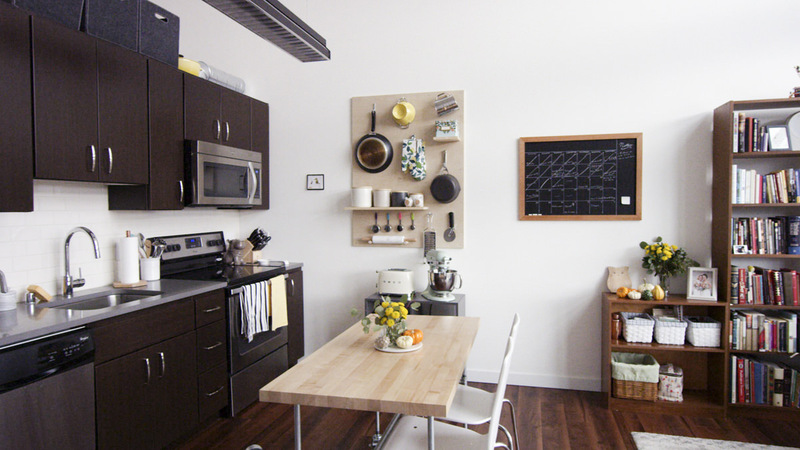 In part one of this series, we’re tackling the entryway, living room, and kitchen. Let’s get to it! 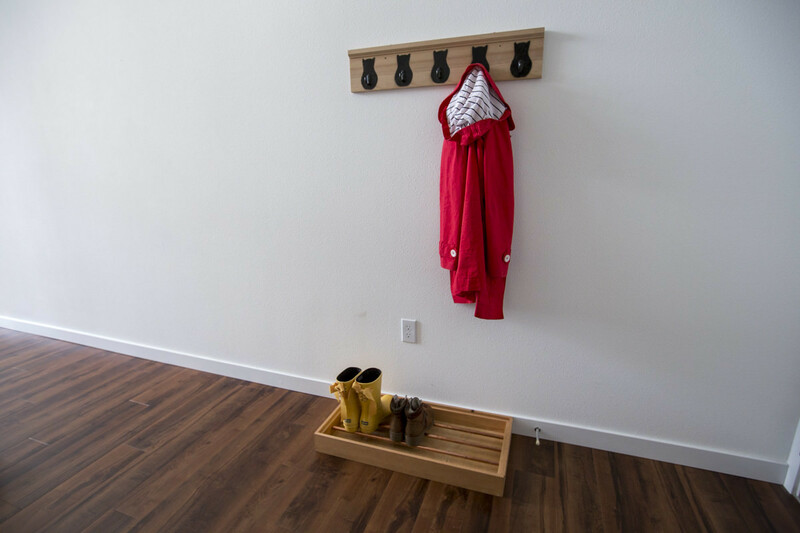 Just like every other small space, it’s important to be thinking multi-functionally when planning out an entryway—each inch counts. 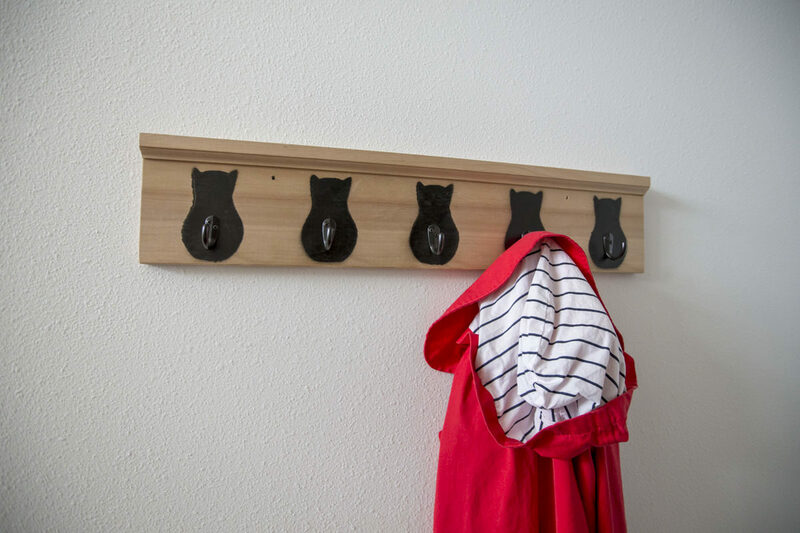 I love Kirsten's fantastic DIY coat rack with cats painted on them—it’s charming and useful, and the coats hang snug against the wall. 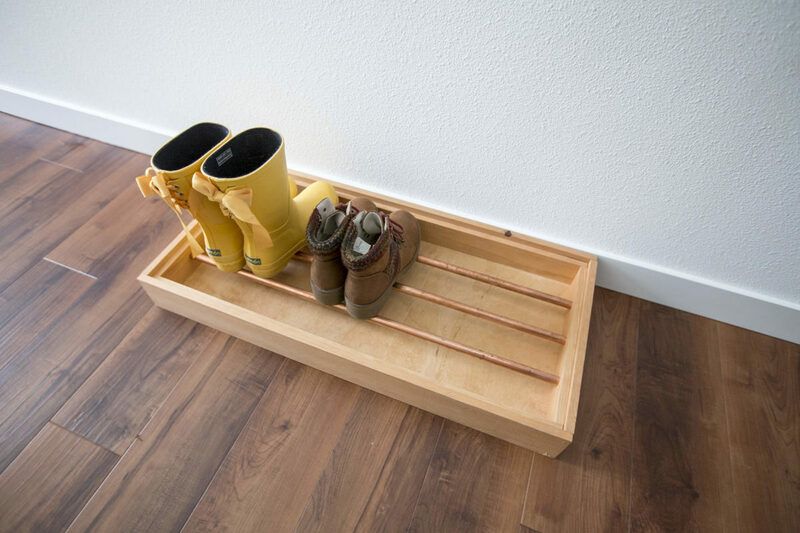 Beneath the coat hook is a boot tray for boots and shoes (since it's placed under the coat rack it catches drips from soggy rain jackets and umbrellas) because hello—it’s raining! This is Seattle, after all. This fantastic piece of equipment is really nice, and it keeps shoes from being tossed wherever and mucking up the floors. In terms of improvement, I’d love to see a long bench here. If you’re running in and out of the apartment or having guests over, you can bring people into the entry and say, “Come on in! It’s a little tight, but hey, shoes off, everybody!” and give people somewhere comfortable to sit down and pull their shoes off. (This is especially great for no-shoes households.) This space would lend itself well to a nice, long bench. 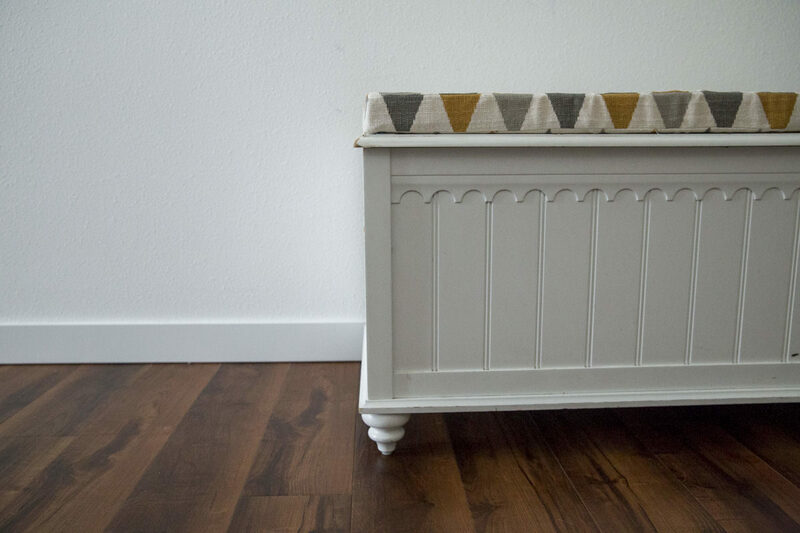 Kirsten has made a bench in the past that even has a built-in storage solution—another great way to make the most of limited space. For extra comfort, consider adding a bench cushion, too. Beyond that, a few pieces of art or even temporary wall coverings add interest and can really bring the entry alive. The entryway isn't just a canal to get inside—it’s also a place to shine. 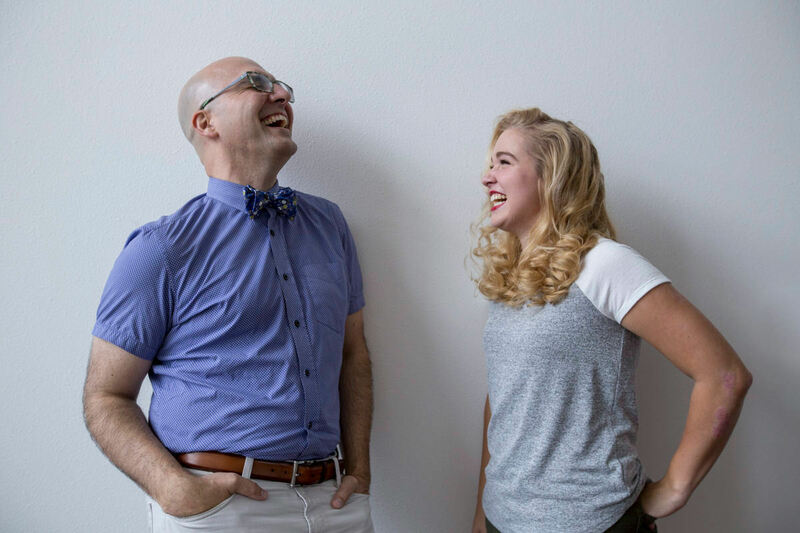 Kirsten and her husband, Nick, love to host and cook. I’ve noticed that it doesn’t matter how many living rooms or amazing spaces you have—people congregate toward the host, and the host is at the stove, which means everyone winds up in the kitchen. A smaller, open space like this fosters interaction, which is great when guests are relaxing on the sofa and Kirsten and Nick are prepping dinner or snacks. 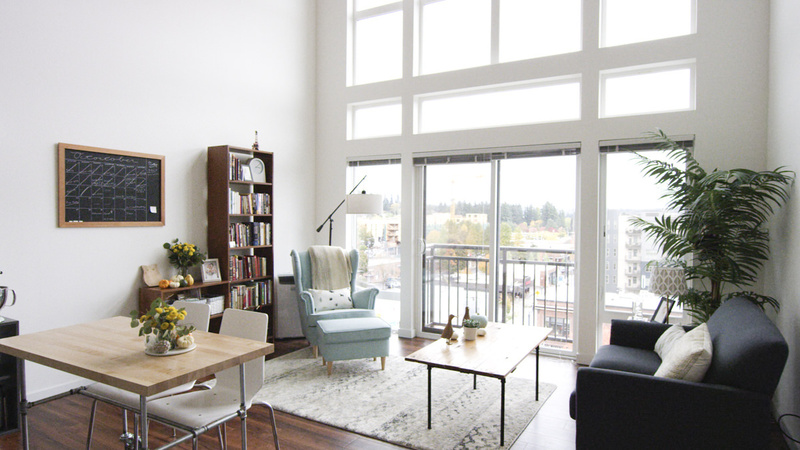 To make sure a living space functions well, I ask folks questions like, “How many people are actually going to be in here?” I never assume, even when I’m in a small space—you never know how people live their lives. After I know how many people they want to seat in a space, I start to think about proportion and scale (and how to realistically seat people comfortably). This is where portable pieces come in. For example: a footstool that turns into an additional seat when pulled away from its chair; big pillows and poufs that tuck away into a corner when they’re not being used; an ottoman that stores extra cozy blankets and can comfortably fit two. Get creative—there are plenty of ways to host without having a house that looks packed full of furniture when you’re not hosting. 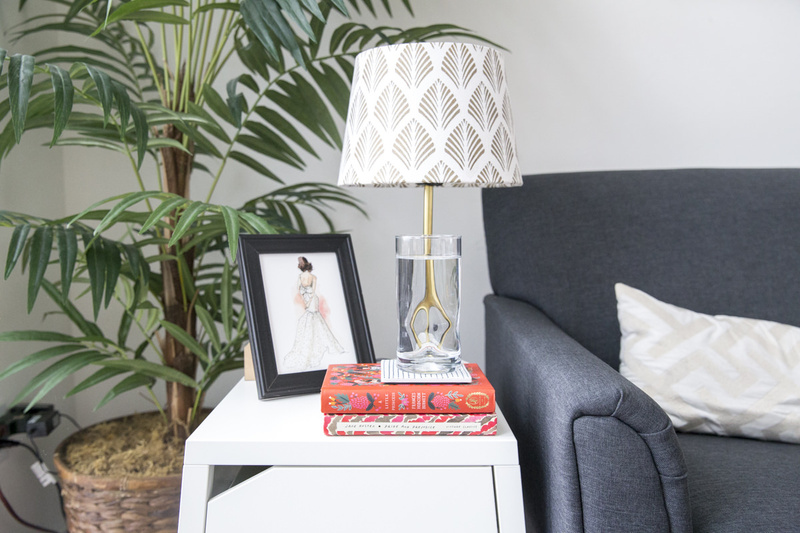 Another rule to keep in mind is the two-inch rule: the surface of a side table should be no more than two inches below or above the arm of the seat. Kirsten’s is just slightly shorter than it should be—something easily fixed by adding a stack of books. Keep coffee tables around seat height. And remember: you'll save yourself from guesswork if you take the time to measure. Kirsten works from home, and is often transitioning from cooking and baking to eating and working—all in the same space. With a small kitchen and limited cabinet space, her table is where she preps food and answers emails, and the sink is where she finds herself chopping vegetables. 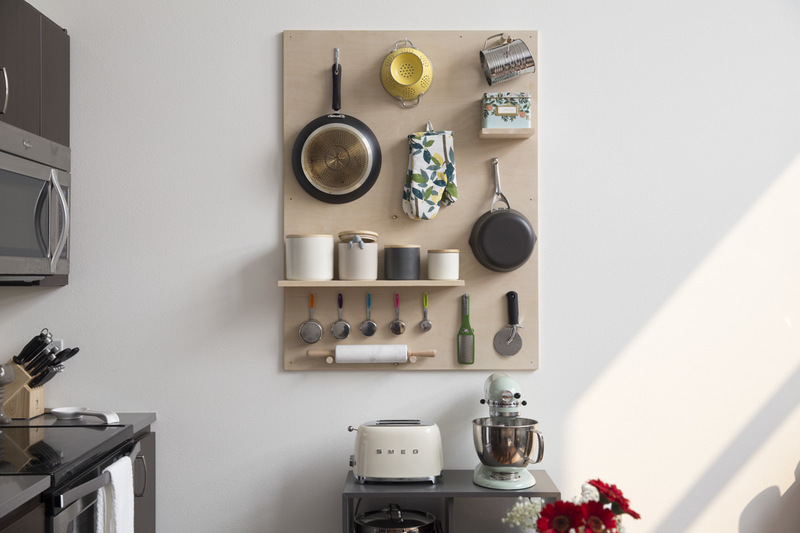 Good news: if you can be creative and make the most of vertical space, you can maximize a small kitchen. For instant counter room, move the faucet out of the way and put a large cutting board over the hole of the sink. Kirsten’s created DIY cutting boards in the past—like this owl one—that could easily be scaled up to fit the dimensions of your sink. Plus, when it’s not in use, it’s pretty enough to rest right against the wall alongside the copper paper towel holder. Don’t forget to think high and build tall, too. 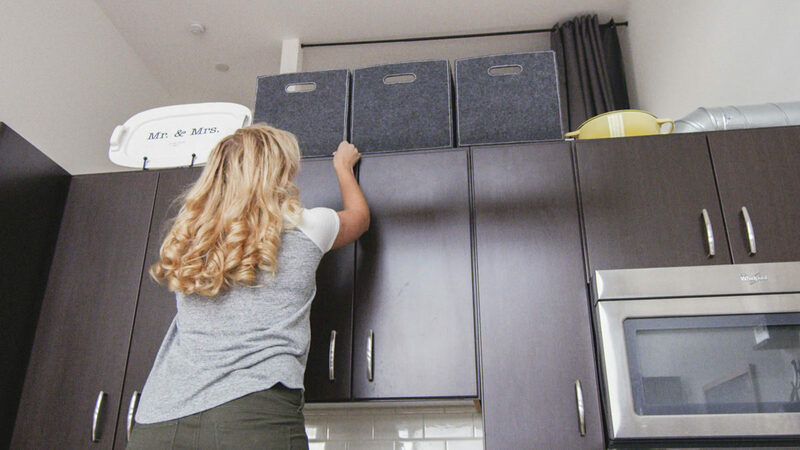 Kirsten’s cabinets have overhead storage space, and she’s placed a few bins up above that stow lesser-used items. 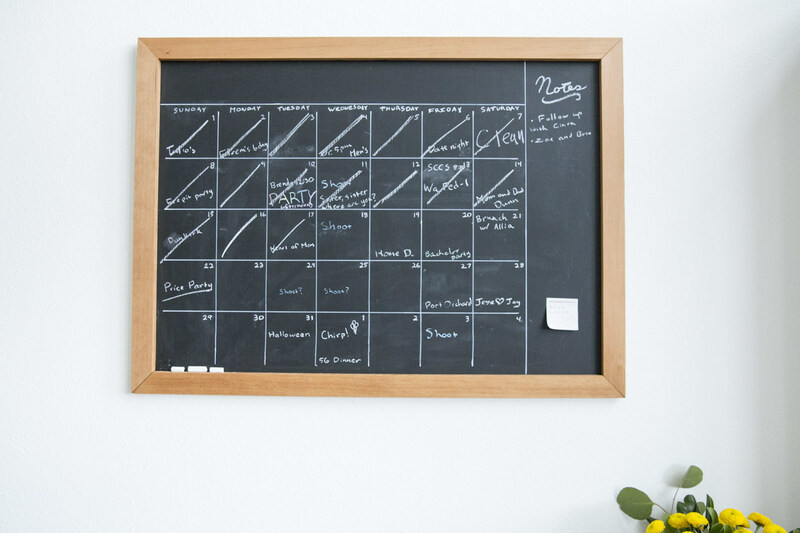 She’s also made this fantastic storage pegboard, which is both beautiful and functional, and created a chalkboard calendar, which helps her stay organized. I believe in the power of beauty—and that beauty is meant to be experienced as often as possible. When we bring meaning and beauty together in a home, things really come to life. Stay tuned for part two of this series, where we tackle the multi-purpose room, office, and bathroom. Let’s cover a few of the basics of how to use a hand saw. This is, by no means, a complete set of instructions and safety, nor is it a replacement for reading your owner’s manual or using common sense. Any further questions you have after reading this will be welcomed by a sales associate at Dunn Lumber.